Cape Coral Technical College (CCTC) opened in central Cape Coral in 1993. 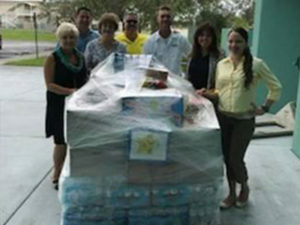 Cape Coral Technical College is part of the School District of Lee County and serves both adult and high school students. Accreditation for all programs is administered by the Commission of the Council of Occupational Education (COE). The Practical Nursing Program is also approved by the Florida Board of Nursing. The Medical Coder/Biller program is affiliated with the American Academy of Professional Coders. The school is a Career and Technical Education training school with a faculty and staff of about 41 persons and the number of enrolled students is approximately 350. Students are enrolled in one program at a time and those programs range in length from 9 weeks to as much as two years. Students attend their program daily from 8:00 AM to 2:30 PM for most programs. Clinical work and on-the-job training is available and recommended for most programs. In many programs the learning is self directed and self paced with an instructor available for consultation. There is no on-campus housing and students commute to school daily. Cape Coral Technical College Exceptional Student Education (ESE) provides special needs students with a variety of services which allows them to attend the technical program of their choice while maintaining continuity with their high school academic requirements.High school students attend full time and may complete their regular high school diploma or prepare for the General Educational Development diploma (GED). 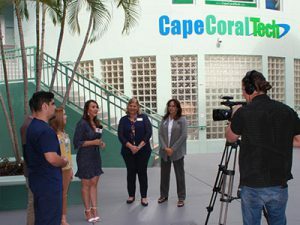 All students who complete the requirements for their program receive a Certificate of Completion issued by Cape Coral Technical College and recognized nationally. There are articulation agreements with local colleges for students desiring to continue their education for a degree program.